Tritonal capped off an outstanding 2015 with the January 2016 release of “Blackout” – the long coveted but previously unavailable single featuring Steph Jones’ delicate vocals and a pop twist on the duo’s melodic sound. 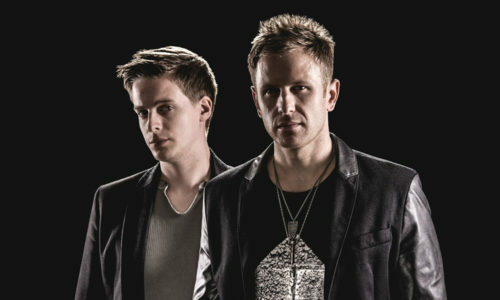 “Blackout” quickly became Tritonal’s fastest-selling and -streaming single to date, the latest in a long line of hits for Austin, Texas songwriters and producers Chad Cisneros and Dave Reed. Formed in 2008, Tritonal spent their early days on premium imprints like Anjunabeats, before eventually landing at Will Holland’s Enhanced Music, which Cisneros and Reed came to co-own. Key moments on Enhanced include: “We Belong”, a pivotal 2009 Ferry Corsten rework; the hit-laden 2011 debut album, Piercing the Quiet; and the acclaimed 2013-2014 Metamorphic EP trilogy featuring euphoric favorites “Follow Me Home” and “Now or Never”. “Now or Never” cracked the Top Five on Billboard’s Airplay Dance chart, a placement recaptured by follow-ups, “Anchor”,“Colors”, and “Untouchable”. In a first for the duo, “Now Or Never” also became a sports anthem for CBS’s Thursday Night NFL broadcasts in 2015, introducing the duo to millions of new fans weekly.